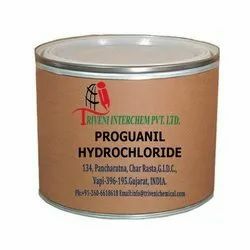 Providing you the best range of proguanil hydrochloride with effective & timely delivery. Proguanil Hydrochloride (637-32-1) is 25 kg HDPE drum. It is also known as Proguanil Hcl, Chloroguanide Hydrochloride and Chloroguanide Hcl. It is use in Antimalarial Industry. Looking for Prophylactic Antimalarial API ?